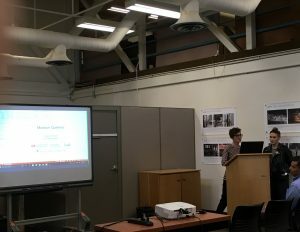 On May 29, 2017, Dr. Heather Milne and Research Assistant Hailey Primrose spoke to a group of approximately 25 people about the upcoming Museum Queeries workshop. The two discussed the overall project, the theme of curatorial dreaming that will frame the workshop, and the overarching questions that the project and the workshop intend to respond to. This presentation was a part of the University of Winnipeg’s Pride Film and Lecture Series.